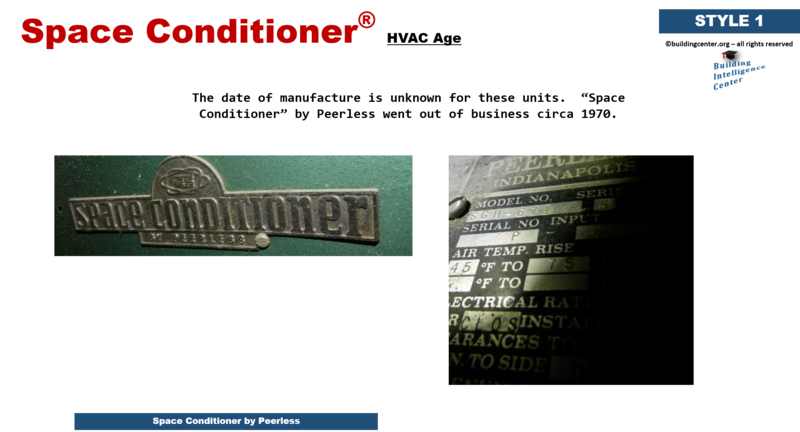 How to determine the date of production/manufacture or age of Space Conditioner® HVAC Systems. The date of production/manufacture or age of Space Conditioner® HVAC equipment is unknown. Space Conditioner by Peerless went out of business circa 1970.